A demonstration of a waste wood-powered commercial heating system is scheduled for 10 a.m. - 2 p.m. Thursday, Dec. 7, at the Country Arbors Nursery. The open house and demonstration, organized by the Illinois Sustainable Technology Center (ISTC), is geared for those interested in learning about the potential benefits for heating agricultural buildings, schools, churches and other structures with wood and other biomass fuels. 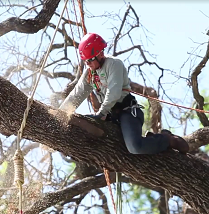 Devin Ginther and Aaron Mitchamore are co-founders of TX Urban Sawmill LLC, a newly-established company dedicated to salvaging lumber from felled urban trees in and around Austin, TX. 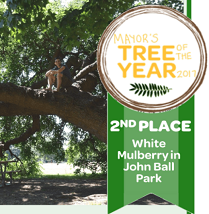 If you love hearing about urban trees repurposed as furniture and other wood products, then you gotta love the Mayor's Tree of the Year program in Grand Rapids, MI. While the focus is clearly on saluting trees that are thriving, great back stories are being created in the process that will add tremendous value to the lumber these trees will - hopefully - yield when they must come down. Wood-Mizer presents Episode 2 of its Urban Sawmilling series, a collection of videos profiling companies advancing the urban wood movement. 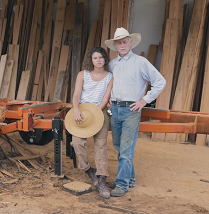 Episode 2 features Steve Ebner and his daughter Rebecca who run Manayunk Timber, an urban sawmill in Philadelphia, PA.